New Zealand’s Electric Vehicle Highway is one step closer to completion after this morning’s Low Emission Vehicles Contestable Fund announcement by Energy Minister, Dr Megan Woods. The announcement has signalled the government’s commitment to increasing EV uptake in Aotearoa. 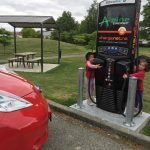 This funding assists ChargeNet NZ, the largest EV fast charging network infrastructure provider in the Southern Hemisphere, to fill crucial the gaps in New Zealand’s ever-expanding charging infrastructure. 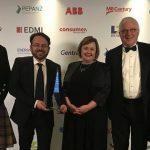 “ChargeNet was founded with the clear goal of increasing the uptake of electric vehicles by providing a reliable, nationwide charging network,” said ChargeNet NZ CEO, Steve West. The Low Emission Vehicles Contestable Fund announcement has confirmed Energy Efficiency and Conservation Authority (EECA) funding for three projects that ChargeNet NZ is involved in, with EECA contributing almost $475,000 to install 19 chargers across the country. 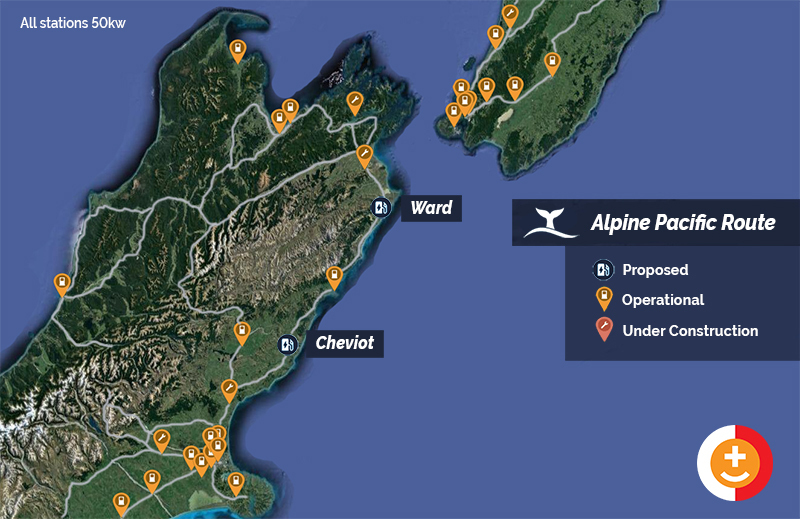 ChargeNet’s Alpine Pacific Route will see two EV fast chargers installed at Cheviot and Ward, supporting NZTA’s objective of a least one public fast charge station located every 75km on the state highway between Christchurch and Blenheim. 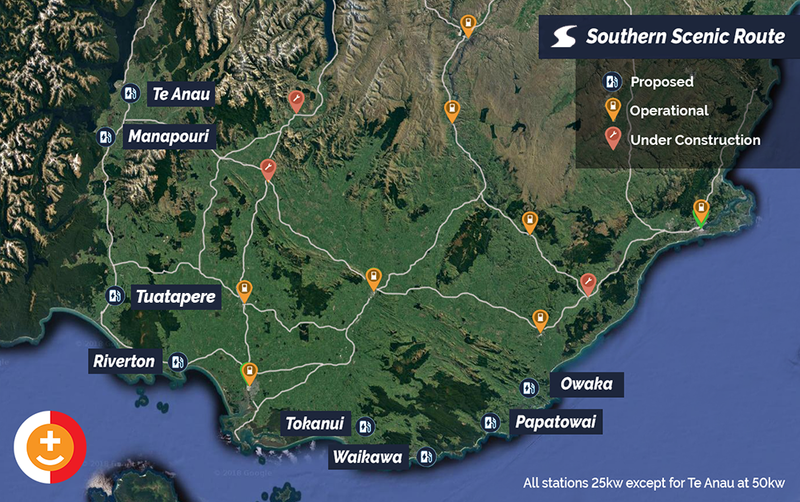 The Southern Scenic Route, a regional partnership between Venture Southland (Invercargill City, Southland District and Gore Councils), Powernet and ChargeNet NZ, will see the establishment of a dedicated electrified Southern tourist route with eight chargers being installed at Owaka, Papatowai, Waikawa, Tokanui, Riverton, Tuatapere, Manapouri, and Te Anau. 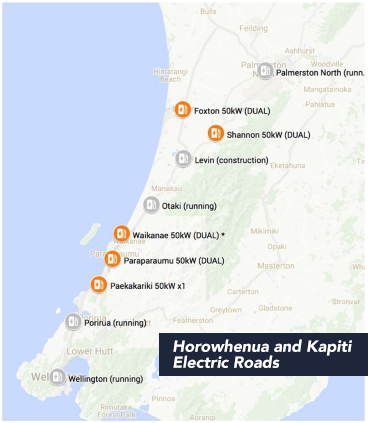 Lastly, a trans-regional partnership comprising of Electra, ChargeNet NZ, and the Horowhenua and Kapiti Coast District Councils, has been funded to install nine fast chargers in five towns in the Kapiti and Horowhenua regions – two of the fastest growing regions for EV adoption. “New Zealand is enjoying the largest year on year growth of electric vehicles per head of population of any other country at equivalent stages of their adoption, and it’s heartening to see the diversity of the projects that are supported by the Contestable Fund,” said Mr West.